Based in Southgate Park (behind Llantrisant Leisure Centre), Llantrisant Tennis Club boasts 3 floolit tennis courts plus a spacious pavilion with bar and changing facilities. 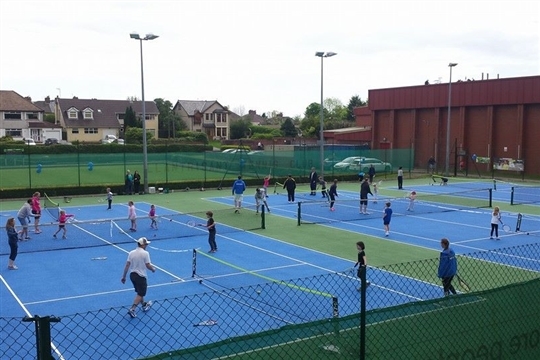 The club provides social and competitive tennis for all ages and standards including a number of teams in the South Wales leagues and has some very successful junior players. Club Address: Southgate Park, Llantrisant.